the careers of other court staff; and difficulties in providing meaningful education and oversight of powerful elected or appointed officials. In the wake of highly publicized sexual harassment scenarios in and out of the courthouse, and with the advent of the #MeToo movement, courts and judicial administrators have recognized the need to update and expand policies, procedures and training to avoid embarrassing and destructive incidents. This panel will (1) define the legal issues raised by the #MeToo movement and their applicability to the judicial workplace, (2) highlight the efforts taken by judicial law clerks and former law clerks to expose the issues and suggest solutions, (3) examine the progress of the judiciary and court administrators in addressing issues of sexual harassment in the workplace, and (4) suggest best practices and procedures for dealing with and preventing sexual harassment incidents in a judicial setting. 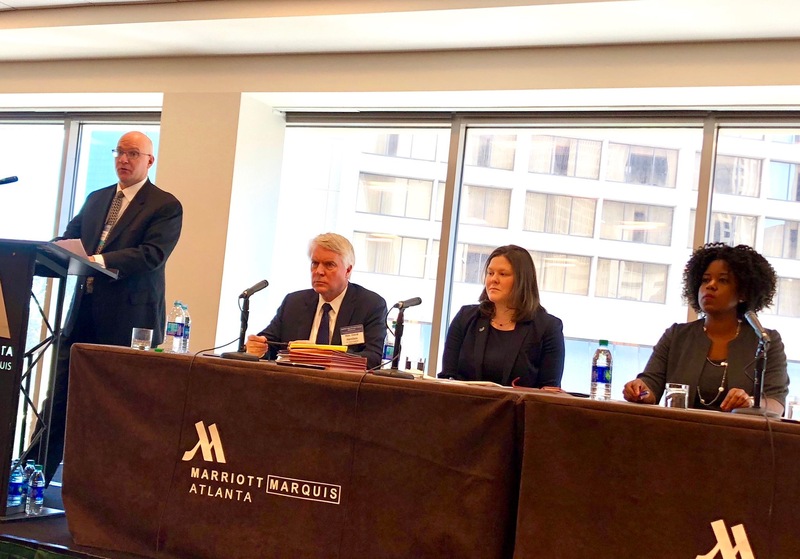 Jamala was honored to lend her employment law expertise to educate appellate judges and lawyers about sexual harassment issues in the judiciary.